Kyle Nay, DPM, practices podiatry at San Juan Foot and Ankle Center in Montrose and Delta, Colorado. He attended the University of Utah in Salt Lake City before completing his doctorate at Midwestern University in Downers Grove, Arizona. After graduation, he returned to Utah for a very competitive and comprehensive three-year foot and ankle surgical residency. 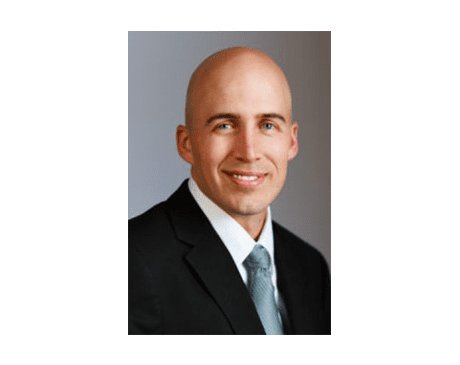 He chose to become a doctor of podiatric medicine because properly functioning feet are essential for the rest of the body to function as it should. Your feet are the first thing to hit the ground in the morning and the last to leave the ground before bed. Dr. Nay strives to help his patients have pain-free feet. His comprehensive education and mission to do what is best for his patients make him an excellent doctor. When he is not in the office, Dr. Nay enjoys high adventure in the outdoors with his wife and two children. He is excited to be making Montrose his new home and looks forward to meeting new patients.